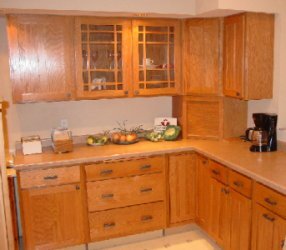 Our traditional values are all about reliability and quality craftsmanship – our KCMA certification allows you to buy with confidence that your cabinets will last for generations. Our philosophy is to design and manufacture cabinetry that meets all your cooking and storage needs…more functional, more efficient, but most of all more affordable. Style is a statement of personality. Countryside offers the flexibility to mike it easy to design cabinetry that complements your lifestyle. Our colors and door profiles provide a array of choices that create a look you will be proud of.